One skein of Original Sock-aholic Solid in your choice of color as shown below on the color chart. 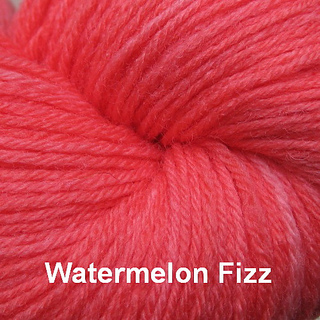 Two mini-skeins of Watermelon Rind yarn. Approximately 180 - 06/0 Czechoslovakian glass seed beads. Sample socks have about 60 beads on each sock. A commemorative project stitch marker featuring a cute watermelon slice charm with glass and metal beads. 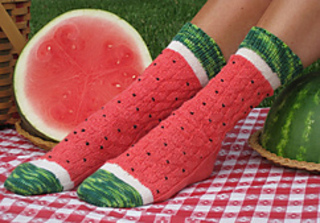 The Watermelon Slice pattern by Wendy Gaal.